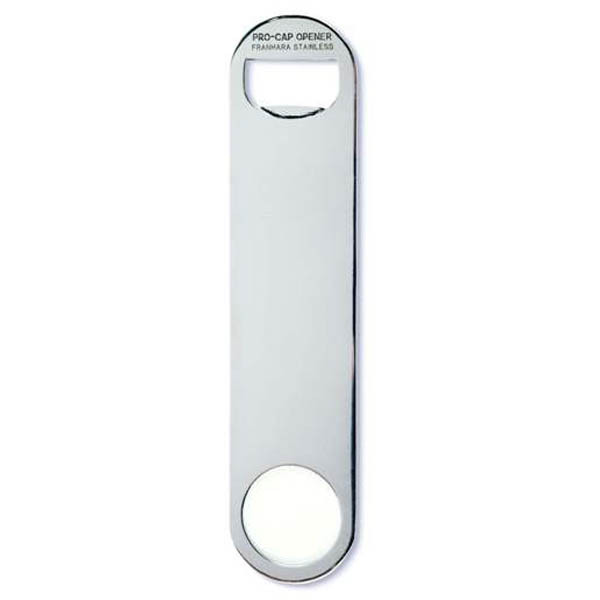 Large, flat, bottle cap lifter. Slips into pocket easily. 2 mm steel, Stainless Steel. 7" long, 1-9/16" wide.